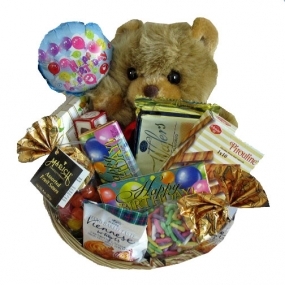 A cute Bear, Birthday Balloon, cookies, candy and chocolates. At this incredible price? How lucky can you get?